Hi, everyone, just have some more pictures to share with you on our Northern California trip! We DID leave our hearts in San Francisco. There is so much to do! 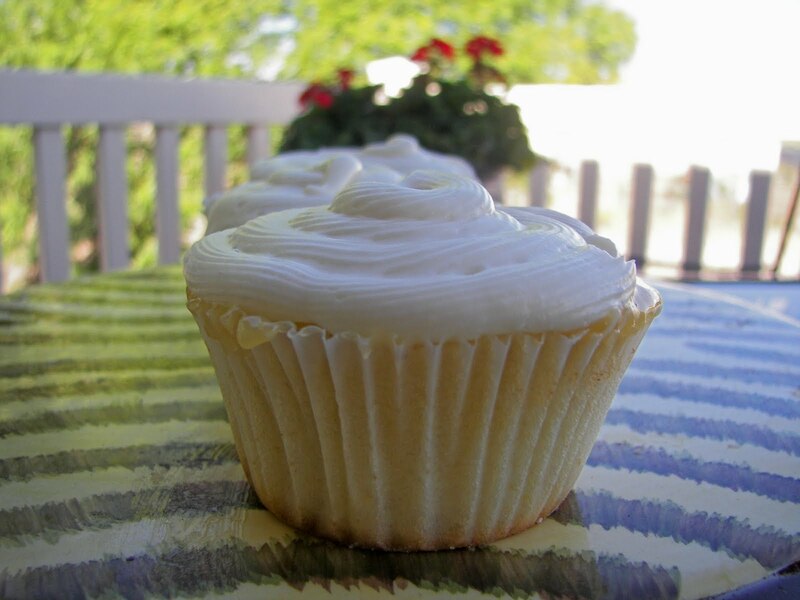 Being in San Francisco inspired me to make the Lemon Lemony Cupcake pictured above; the recipe and instructions are at the end of my post. My 16 year old son said that the "Lemon Lemony Cupcake" was "almost as good" as the cupcakes at Kara's Cupcakes! Kara sells cupcakes in Northern California. 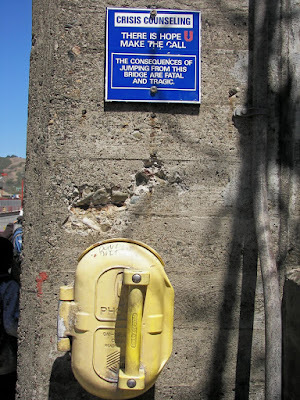 There is an outlet in the Cow Hollow District. The Key Lime Cupcakes at Kara's are the best cupcakes I have ever eaten. 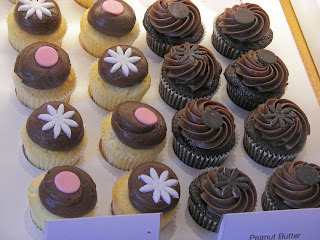 Okay, so they are not cheap --- $3.25 per cupcake, but really you need to try them if you can! Although I didn't know this when we made our visit, Kara was a contestant on the Food Network's Cupcake Wars this summer. While we were in San Francisco we stayed at the Cow Hollow Motor Inn. It was a lovely motel, with free parking, on Lombard Street and Steiner. 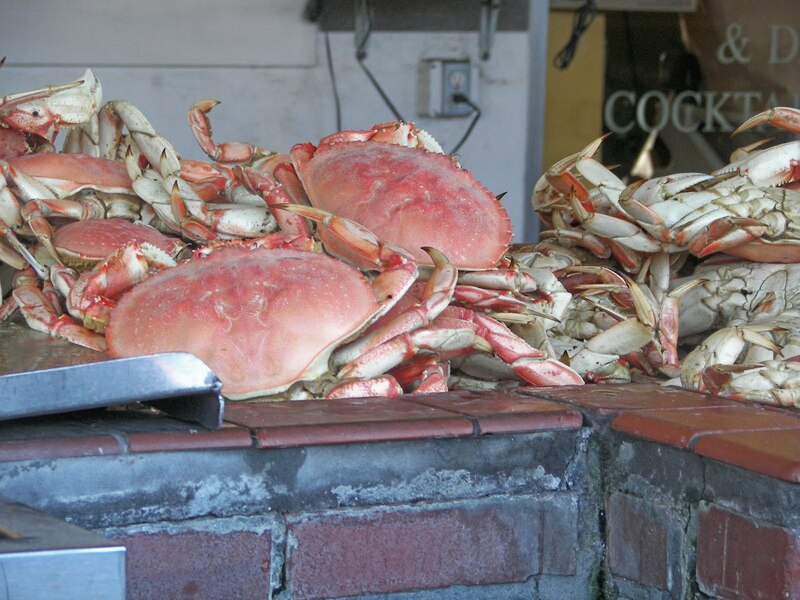 Bonnie, who writes the blog City Home/Country Home visits San Francisco at least once a year and had recommended Cow Hollow Motor Inn when she wrote a "What We Ate" review of her trip. Drop by her blog; I enjoy reading it! She also was so kind enough to give me lots of other tips about where to eat and what to do in San Francisco. Thanks Bonnie! This is a view from our motel room of the The City. 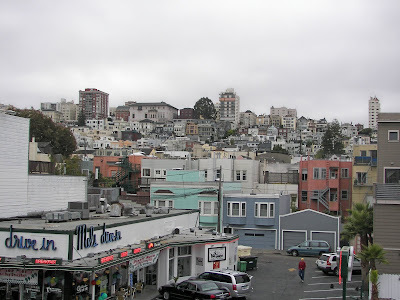 In the bottom left-hand corner is Mel's Diner which has been a San Francisco tradition for over sixty years. We ate at Johnny Rockets. It is a fun diner to go to with your kids. We had the best waitress who, without asking, brought our two youngest hot water, lemons, and honey to nurse their colds they were suffering from. Each table has a mini juke box where you can put in a nickel and they will play your song. 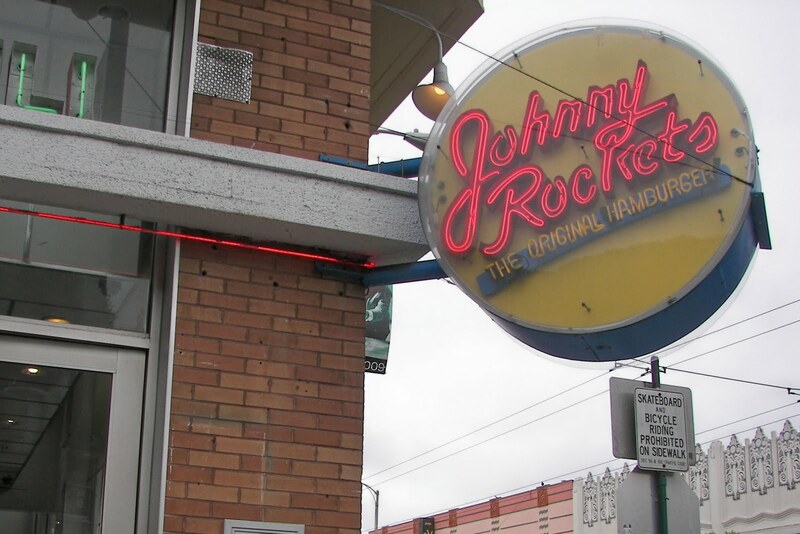 The prices were on the inexpensive side and the food was good diner food. You can get a nice-sized patty melt and fries for $6.00. 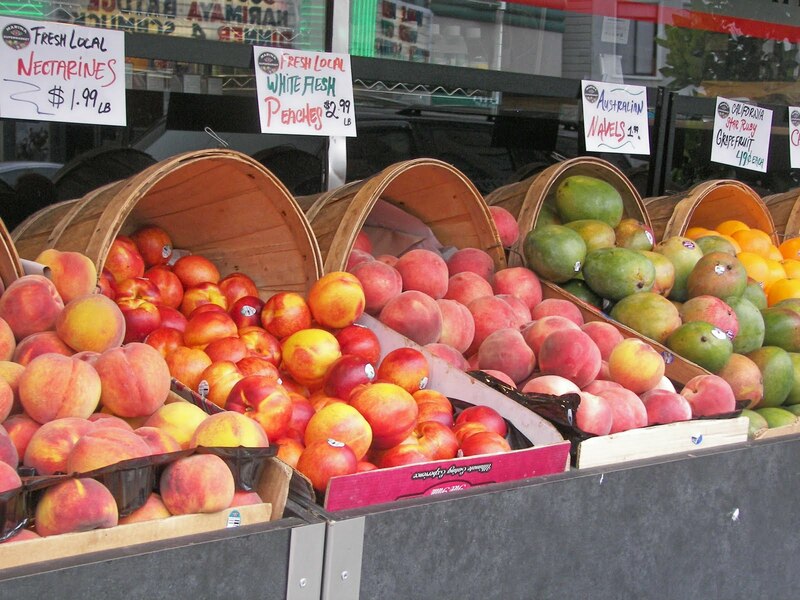 A grocery store display of food on Chestnut Street. 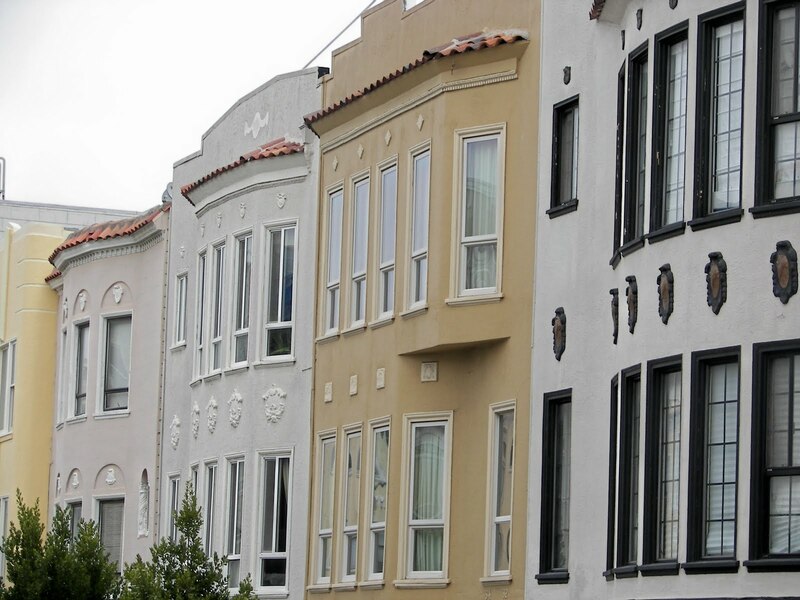 The Cow Hollow area has every service you could desire. 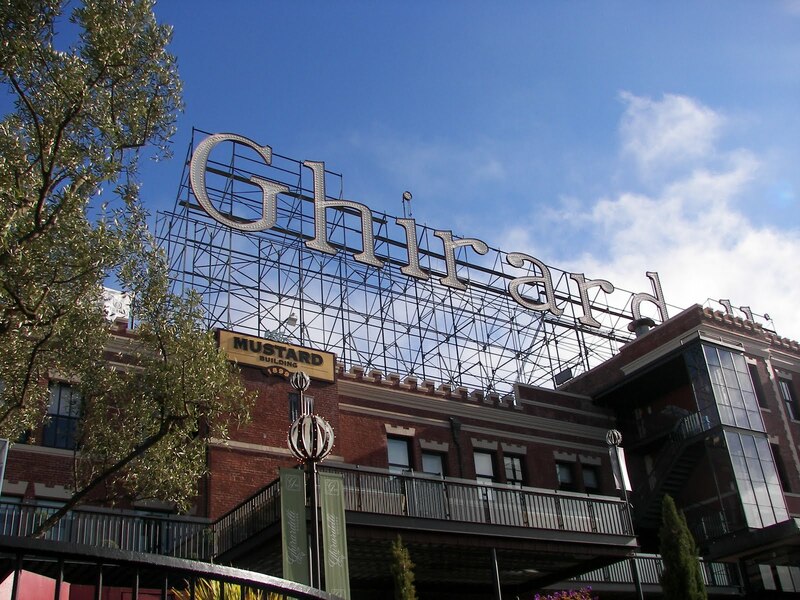 There is a small Pottery Barn, a bookstore, bakeries, an Italian Deli, a movie theater, an Apple store, and an ice cream and candy store....just to mention a few of its offerings. 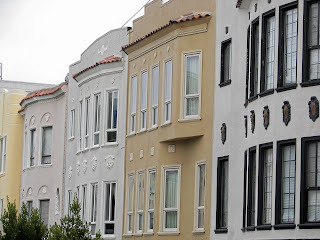 The Cow Hollow area has many homes similar to these and all it takes is a nice walk to get you to the Marina. 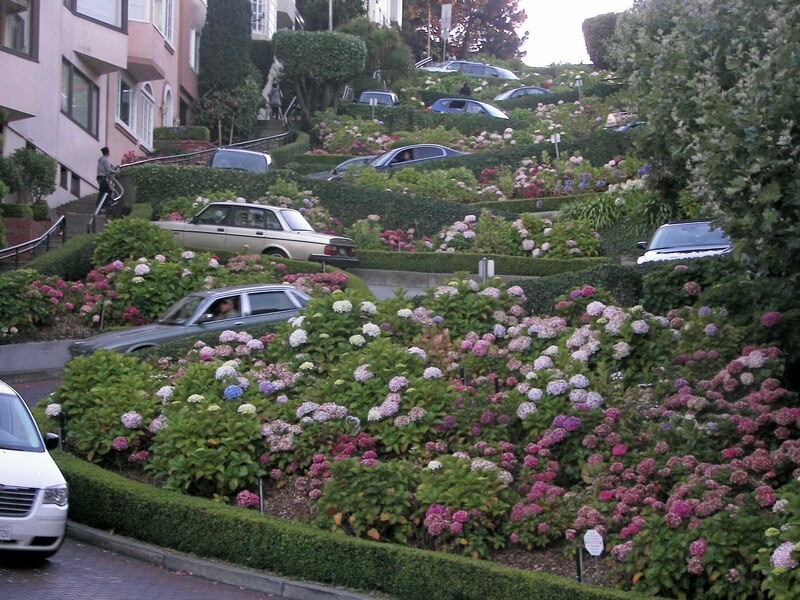 The famous Lombard Street! I attempted to drive UP the hill to drive down the curvy part....I would not recommend doing this with a stick shift! I chickened out...or dare I say the smell of asbestos from my clutch told me not to go any further. There is a staircase adjacent to the curvy part and we had a nice walk down. We found the cable cars to be really fun to ride. Bonnie had suggested going on the California line, which we did, because there was no waiting! We also rode one of the other two lines. 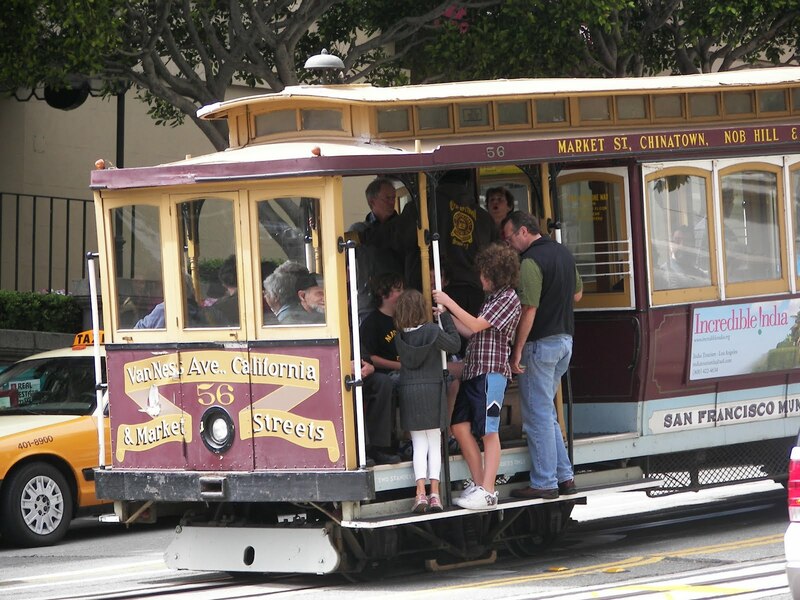 We loved the conductor who pelted us tourists with lines such as "Thanks for leaving tourists," as people were leaving the cable car. My favorite line as he was squeezing through the crowd to collect fares was "No squeezing my muscles or pinching my bootie....sometimes the ladies get fresh, really fresh!" We didn't always take cable cars; we walked and walked and walked! 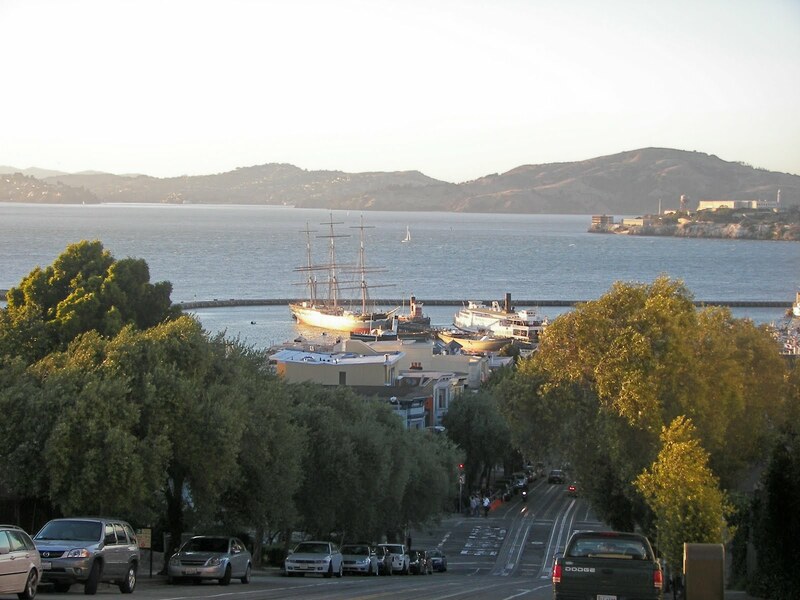 This is a view from Hyde Street. That's Alcatraz to the right. 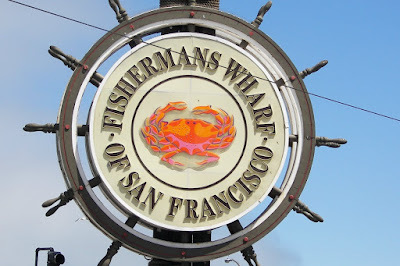 The Wharf area is always alive! 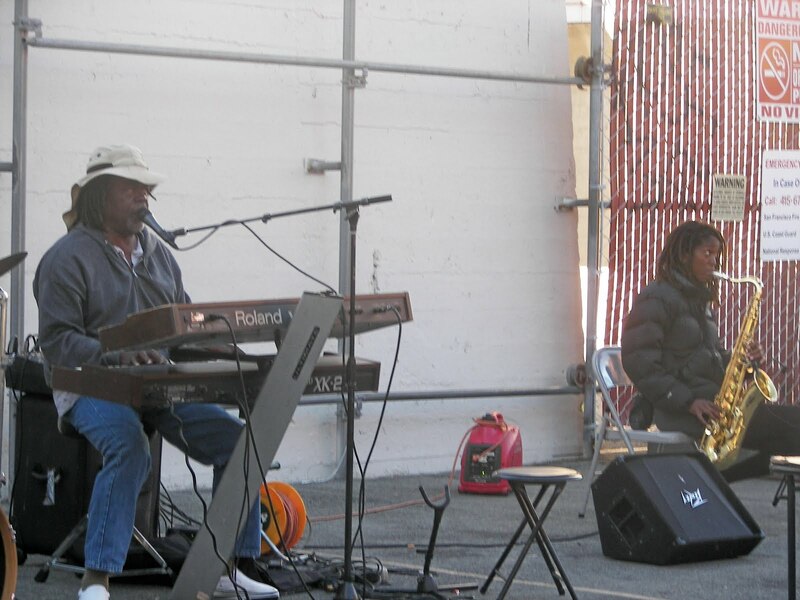 We loved the street performers, especially the band. This guy was on a unicycle with a strait jacket. 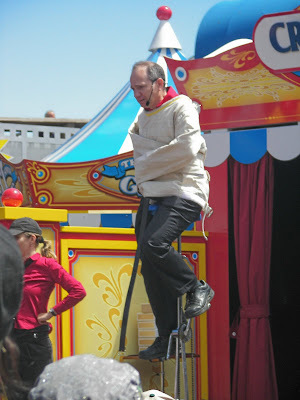 He was able to get out of the strait jacket while cycling. 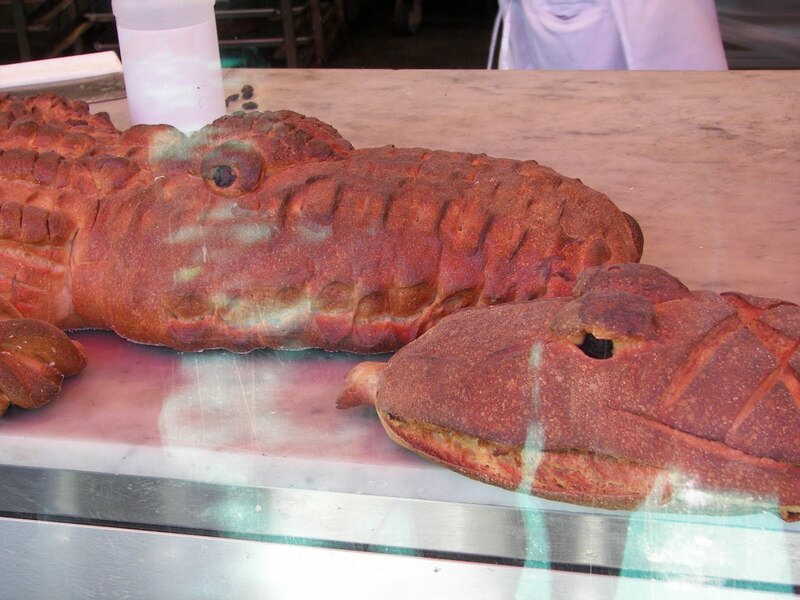 Eat some bread at Boudin's. They pipe out the smell of baking bread to the street, really they do! Watch the antics of the seals. 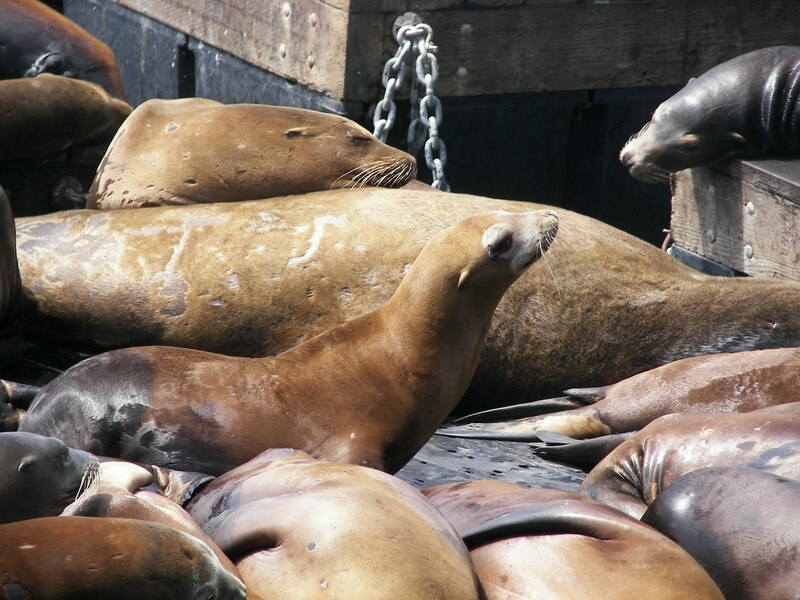 After the 1989 Loma Prieta earthquake, the seals came and stayed at Pier 39. My kids enjoyed the Musee Mecanique where for 25 or 50 cents you can have some fun with antique coin operated arcade games or player pianos. 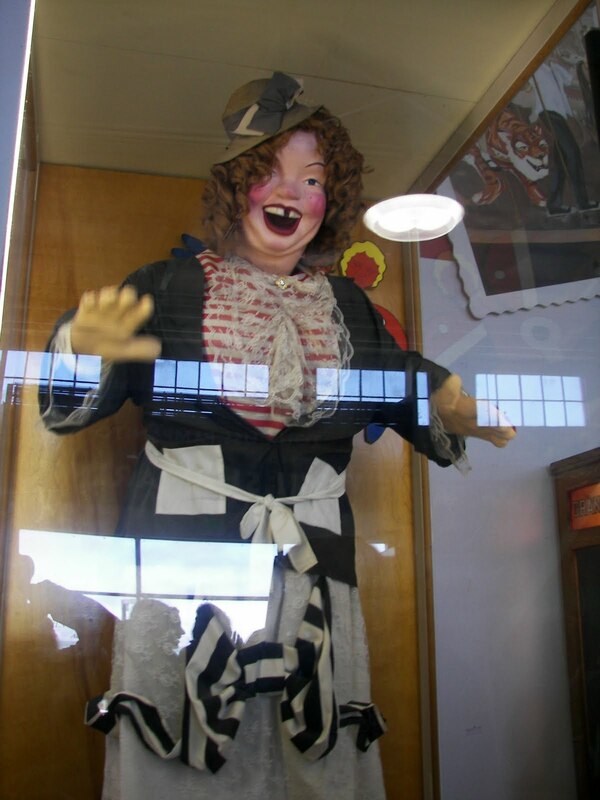 The Musee Mecanique was shown on the original Princess Diaries movie. It seems as if everyone has to walk or bike across Golden Gate Bridge. It is a beautiful structure with great views of the San Francisco Bay. It is a suspension bridge. 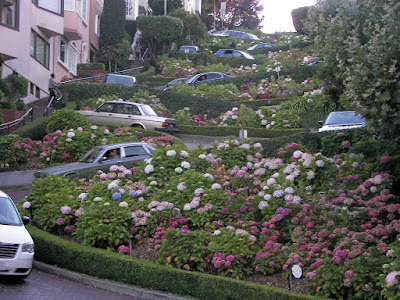 Our motel was right on Lombard Street; Lombard Street leads to 101 North , or 1 North, which takes you over the bridge. It is free to leave the city and I believe it is $6.00 to enter the city. The Bridge is not golden, but rather a rust color, officially called vermilion orange. 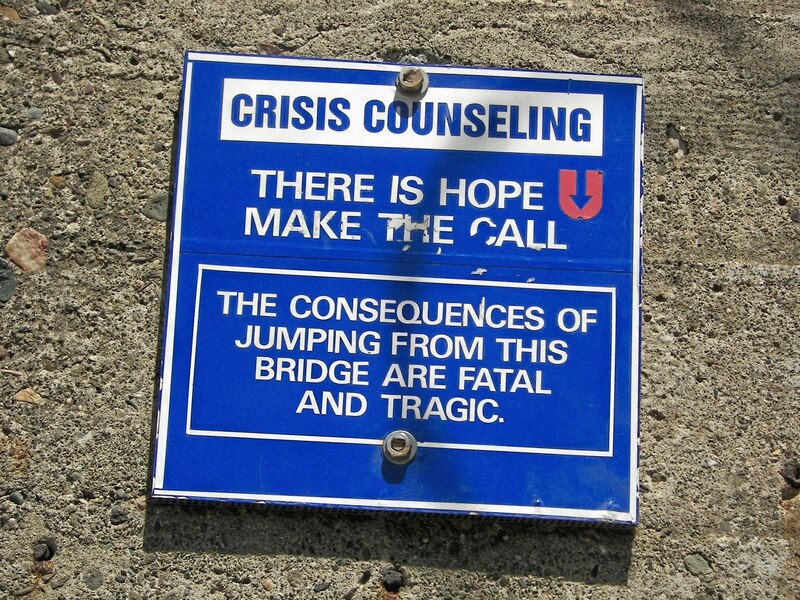 Unfortunately, the Golden Gate Bridge is the most popular suicide location in the world. 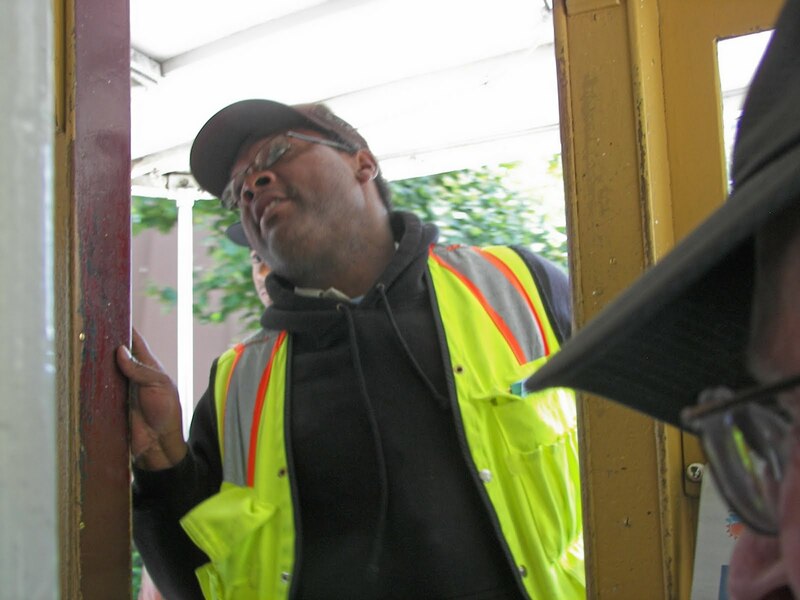 There are at least two locations where there are crisis line phones. 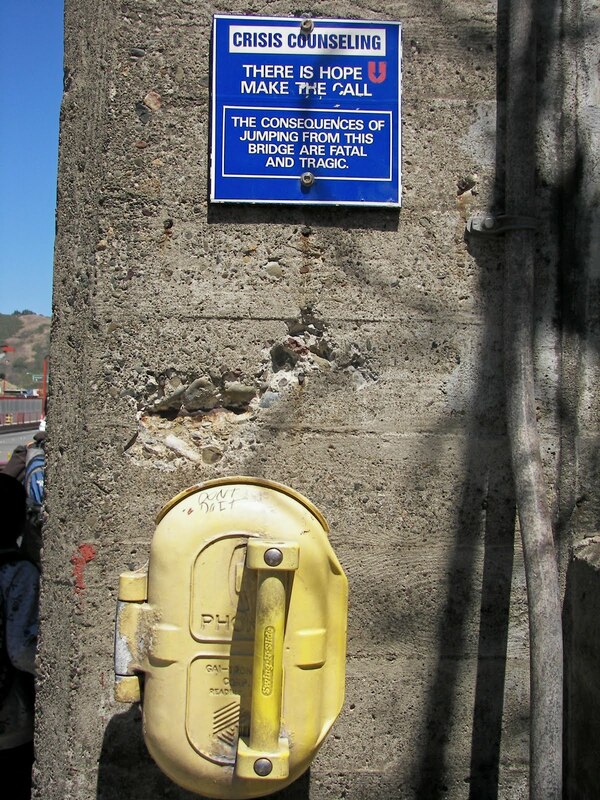 Most of the over 1200 people who have attempted to commit suicide have succeeded. There is a 98 per cent fatality rate. I believe they stopped keeping records in 2005. 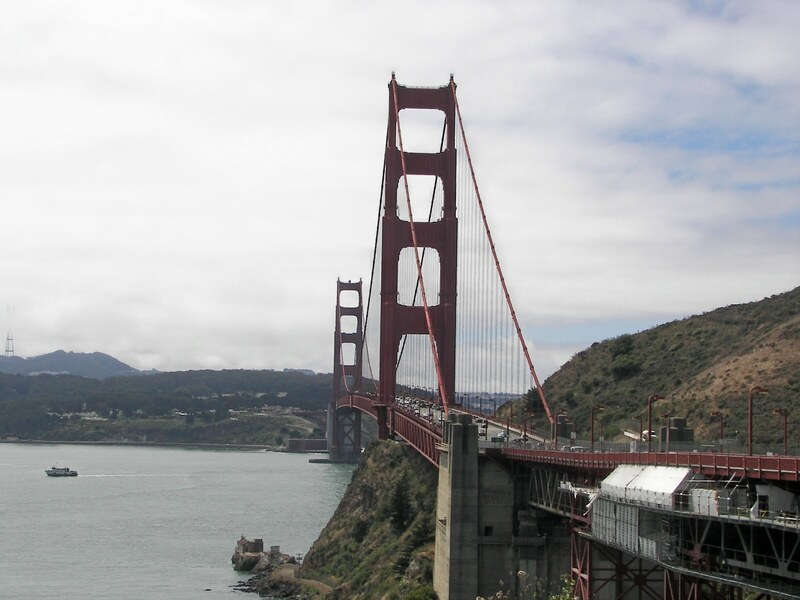 It is estimated a suicide from Golden Gate Bridge occurs every two weeks. 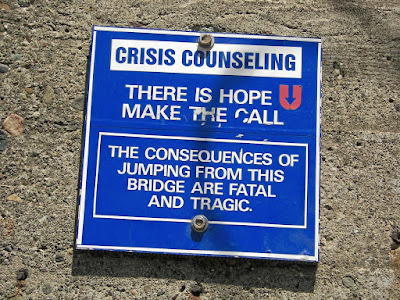 In 2009, 31 people committed suicide on the Golden Gate Bridge. As of 2006 only 26 have survived. One man who did survive, said that as he was jumping, all of the things that he was worried about he realized were fixable...except the jump. Thankfully he survived. These were really good and really tart and sweet at the same time. The cupcake recipe is from Martha Stewart I found it at Squidoo.com The frosting recipe was adapted from a recipe from my sister Jacqueline at Purple Chocolat Home. 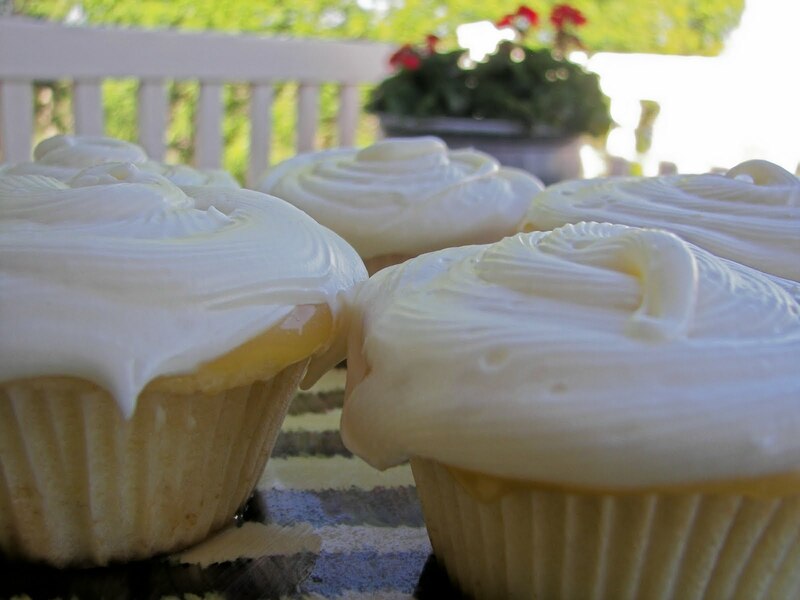 These cupcakes consist of cupcakes, lemon curd, and frosting. Preheat oven to 325 degrees. Line muffin tins with cupcake liners. Add flour, baking powder, and salt together. Mix butter and sugar together with mixer at medium speed. Add eggs one at a time, until mixed well, then add zest and vanilla. Add flour mixture in three batches with two batches of buttermilk and lemon juice in between. Beat until just combined after each addition. Place batter in lined cups filling about three-quarters full. Bake until golden, cake tester comes out clean or about 25 minutes. Cool completely before removing from the muffin tins. When cupcakes are cool, pipe frosting into cupcakes to fill them or spread a thin layer of lemon curd on top of each cupcake. If you like sweet, do both! 1/4 cup lemon curd, use Trader Joe's or Dickinson's brands. In large mixing bowl, beat all ingredients together. Add additional powdered sugar if necessary to have frosting be stiff enough, yet fluffy. I found this cake server at Ross this summer. His tail is the cake server! Thank you for dropping by my RED COUCH. boy these look yummy! 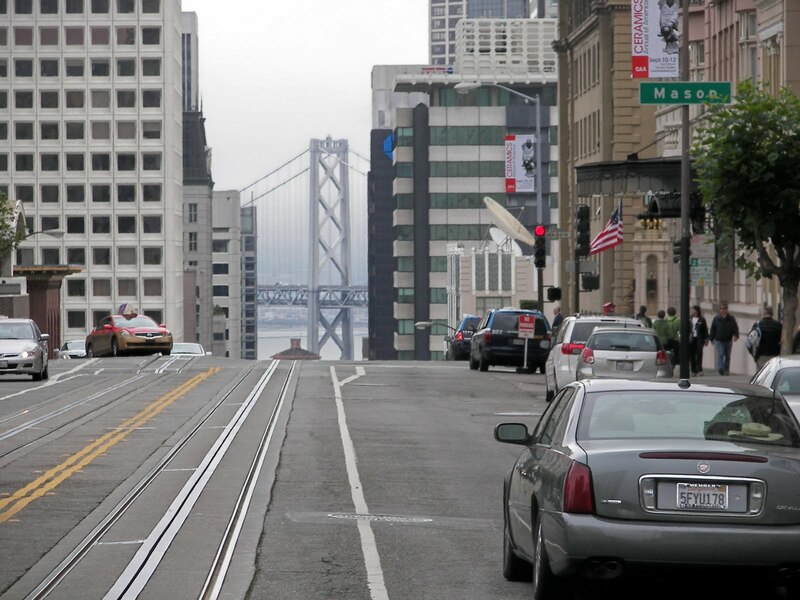 great pics of SF...it is such a great town, isn't it?! Great photos, thanks for sharing! I love San Francisco, and am lucky enough to get there about two or three times a year - and I always treat myself to a Kara's cupcake when I do. Your cupcake recipe sounds lovely - I just love lemony things! Joni, I'm dying to try your lemon cupcakes. We love Kara's. I forgot to mention "That takes the Cake" on Union Street. Their coconut cupcake is the best that I ever tasted. The unicycle guy can also juggle bowling balls. So fun to hear about your trip. I've never been to San Fransisco - looks like a great place for a Foodie to visit. Yummy looking cupcakes! Thanks for sharing the recipe. You can go tripping any time this is so much fun to read! My guy is from N. CA and we need to "go home." It's true, some of my heart is in S.F. ;D Oh and about the cupcakes, they are extra amazing and I'm tasting the sweet-tartness just from your beautiful pics. Thanks for the recipe. Have a happy weekend, Joni. That was wonderful! Thanks for taking me there, I have never, nor will be there! I watch Cupcake Wars. That man judge needs to take a happy pill. He is quite the grump! I love San Francisco. Thanks for taking me along on your tour of the city. Riding the cable cars is so much fun and the dungeness crab at the wharf is the best!!!! All those shelves of cupcakes...I would think I was in heaven! I loved your pictures...this is someplace I haven't been and it was fun seeing through your eyes. 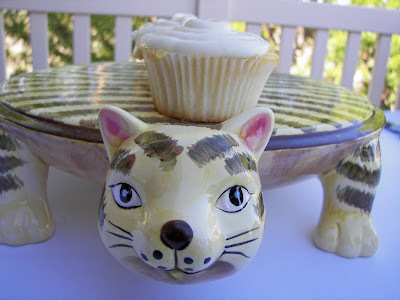 I love your cat plate! Thank you for stopping by my blog. 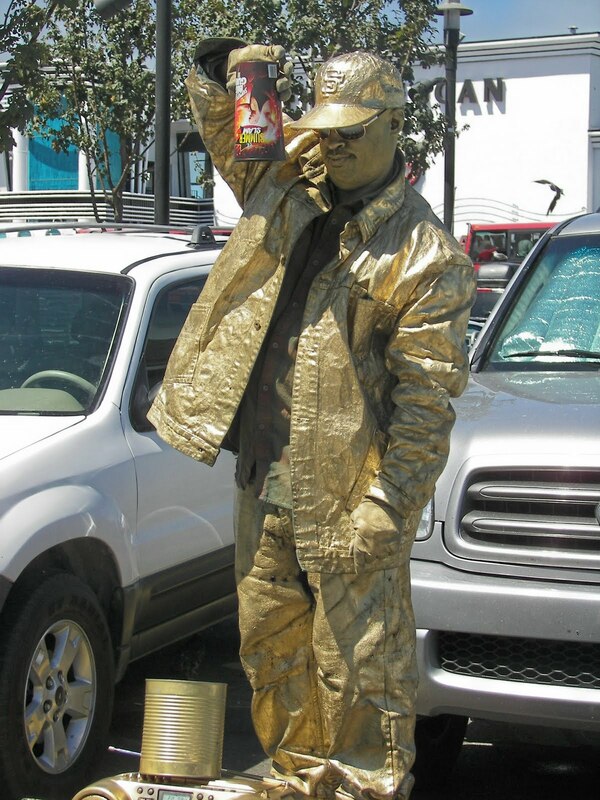 I looked at all of your archived blogs to see your sterling!! It's so beautiful and I know I've made the right choice. Thank you again for your encouragement!! Those cupcakes sound yummy--I will have to try them out! 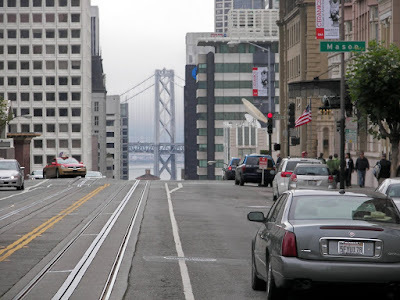 I've been to San Francisco twice--your photos brought back some memories! Cupcakes - after 20 years of making them for every school birthday/hotdog day/Christmas party etc, I stopped making them altogether for years. Now it seems that they're back in foody favor, so I'll get my pans out and give these lemony ones a try when I get home. 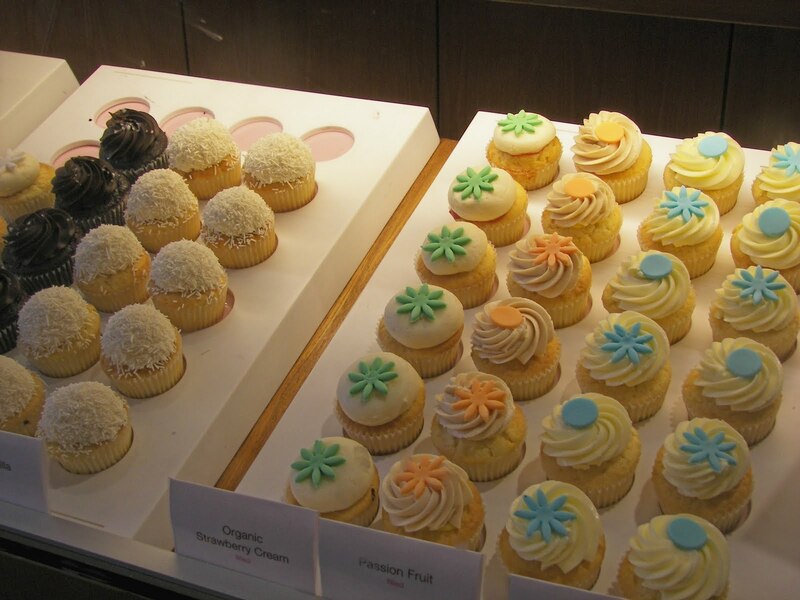 I want to try one of each of the cupcakes at the bakery. Your pictures made me hungry. These look so good. We bought ramekins and are going to make the little pies, but we are using Bear Lake Raspberries as my friend brought us some of theirs from their property up there. Can't wait to see you Sun. we have some fun blogging surprises for you!!!!!!!!!!!!!!!! WOW! The lemon curd addition puts these over the top! I'll have to try them! YUM!!! What wonderful pictures and what a wonderful trip. Thank you for sharing the pictures- the lovely scenery and those delicious foods! Thanks for the wonderful tour of San Francisco. I haven't been there in years and your tour brought back such good memories. The cupcakes look amazing! YUM. WOW, this was a scrumptious post! I can't wait to give those cupcakes a try! Thank you! so glad you linked this up to TNSC! These look so yummy! What a great SF post! I was just there for Bloggy Bootcamp but did not get to see much of the city this time. The cupcakes - yummy! Lemon cupcakes tickle me pink! Joni, thank you so much for sharing with us. They were so delicious!! You are amazing. This is a recipe I will definitely have to keep on hand. I made these for my boyfriend's birthday last month and they were super tasty! I'm not a huge fan of lemon cake but I really enjoyed these! I definitely plan to make again the future.